Popular dish at TANTO. 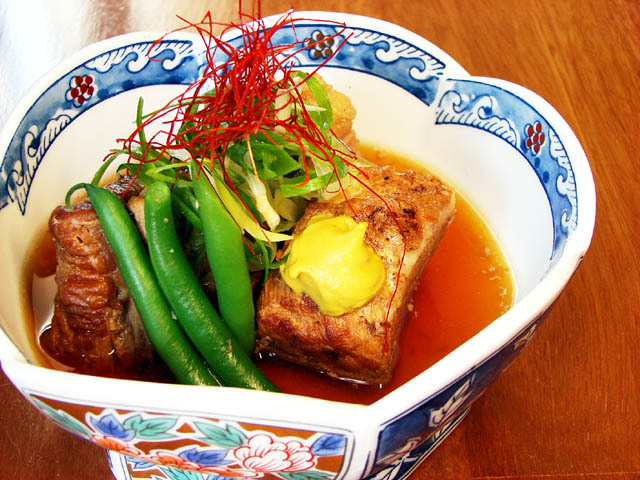 Slowly cooked pork belly in light DASHI-soup. Long cook time could thick meat makes to be handled with chopsticks easily.